Tonight there is major news coming out of Honduras saying that a woman was arrested for trafficking teen girls into Belize for prostitution. A report in La Prensa, a Honduran newspaper, say that Denia Suyapa Ochoa was detained in San Pedro Sula during an operation called "Fire Storm". Ochoa, who works in the Honduras Ministry of Health and according to the Protection of Women Agency, she would enlist young females - minors - who would be taken to San Pedro, AMBERGRIS CAYE to work at a brothel. That's where, the taproot says, these teenagers would be exploited sexually and forced to do work. The report says she personally took girls to San Pedro Sula, where someone else would pick them up and transport them to Guatemala and then to Belize. Now, on the local side of this story, CEO in the Ministry of Human Development Judith Alpuche says Belizean authorities were involved in the operation, and her arrest was as a result of cooperation between Belizean n Honduran authorities. But, Alpuche says they haven't found any trafficked teens - though they did find others. She says, quote, "We identified Honduran nationals who were not trafficking victims but had been smuggled in by her network." She continues, quote, "4 women, not teens came in through her network. During screening for human trafficking they were found to have information on the network and so they were handed over to Honduran authorities for them to go through their legal processes to effect the arrest. The screening conducted on these 4 by Police did not deem them to be human trafficking victims." End quote. Ochoa has been charged for human trafficking and the commercial sexual exploitation. In Honduras, the penalty for that crime is a prison sentence of not less than 20 years. There are disturbing reports that a woman in Honduras was detained and arrested for trafficking teen girls into Belize for prostitution. Reports in La Prensa, a Honduran newspaper, indicate that Denia Suyapa Ochoa was detained in San Pedro Sula during an operation by authorities called “Fire Storm X”. Ochoa was employed at the Department of Health and according to the Protection of Women Agency, she sought young females who would be taken to San Pedro, Ambergris Caye to work at a brothel. While there, the female juveniles would be exploited sexually and forced to do work. Ochoa was charged for human trafficking and the commercial sexual exploitation. It is believed that she personally took girls to San Pedro Sula, where someone else would pick them up and transport them to Guatemala and then to Belize. In Honduras, the penalty for human trafficking and commercial sexual exploitation is a prison sentence of not less than 20 years. 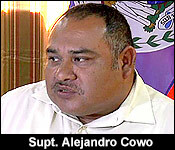 The operation also involved collaboration with Belizean authorities. In fact, Belizean authorities have identified Honduran nationals who were smuggled in the illegal operation. Local authorities say their operations are continuous as the fight against human trafficking is a priority. Belize is making international news, but this time, unfortunately, for its link in a human trafficking ring based in Honduras. Honduran news outlets are reporting that teenagers from that country have been trafficked to Guatemala and Belize, where they are sexually exploited and faced with forced labor. In the case of Belize, the outlets are reporting that the women are taken to the island of San Pedro, where in many cases they are forced to serve as prostitutes in an undisclosed bar. The future of the ring and the continuation of its operations are not yet known, as the woman believed to be the head of its operations has been jailed. 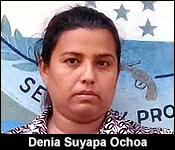 She is a Honduran national, Denia Suyapa Ochoa. She was arrested on Wednesday by Honduras’s Police Investigation Directorate (PDI) at her workplace at the Ministry of Health in the northern Honduran city of San Pedro Sula. Ochoa now faces charges of “trafficking in persons in the form of forced labor and commercial sexual exploitation” and other charges for transporting her victims to San Pedro Sula from where they travelled to Guatemala, and then to Belize. In Honduras, the penalties for human-trafficking related offences are upwards of 20 years in prison. A very influential source on the island also spoke to Amandala tonight, indicating that in previous years there have been several bar raids to ensure that everyone’s immigration status was up to date. However, to date, there have been no such raids, said our source, who claimed that the ratio of inhabitants to bars is 7:1. According to our source, the San Pedro town council has not been proactive in addressing the matter, as they are understaffed and strapped for cash, so they focus more on collecting trade license fees and other fees from bars. Our source further revealed that there have been many cases of human trafficking documented in San Pedro. We could not reach the Mayor of San Pedro for a comment. “The recent Honduran Denia Suyapa Ochoa’s human trafficking incident reveals to us that human trafficking is still very much a critical concern that permeates our society. But much like other social issues that affect mostly the marginalized among us, human trafficking is just one of those riddles that our government cannot seem to solve,” she further noted. While investigations continue into the human trafficking ring, many of the women have been removed from the island by the Immigration authorities. In regards to Ochoa, Honduran newspaper La Prensa states that she worked at the Ministry of Health in that country, and according to the Protection of Women Agency, Ochoa used to recruit young females for the trafficking business. The report from the authorities indicates that the young girls, who were mainly minors, were taken by Ochoa to San Pedro Sula, Honduras. From there, they were taken to Guatemala and then eventually in to Belize. Residents have not been shy when complaining about authorities, especially the Immigration Department, for their lack of attention and enforcement to the matter. Many allege that the Department knew what was happening, but did nothing. Residents go even further, acussing the main authority in town, The San Pedro Town Council, for only focusing on collecting trade license fees instead of addressing the issue. In a previous interview with The San Pedro Sun, Mayor Daniel Guerrero commented that it was an issue that needed to be addressed as soon as possible. However, he also said at the time that it was an issue that happens in any country, and thus, was nothing new to Belize. "It is an Immigration operation but they were assisted by the police. Yes, I understand that they have the collaboration of the Police Department. Some members of the major crimes unit are assisting in that operation- interviewing some of the females that were detained in that operation." "Has there been any charges brought against them"
"Not yet, no charges have been brought to them up until now." "Can you clarify how many women?" "I was made to understand it was about 32 of them." "Different nationalities, including Honduran and Salvadoran." "Ranging from 18 to about 32 if I'm not mistaking." Immigration reports that 13 or 14 persons were charged in that operation. No reports of human trafficking were received. Those females who have been charged either paid or a fine, or will face deportation. 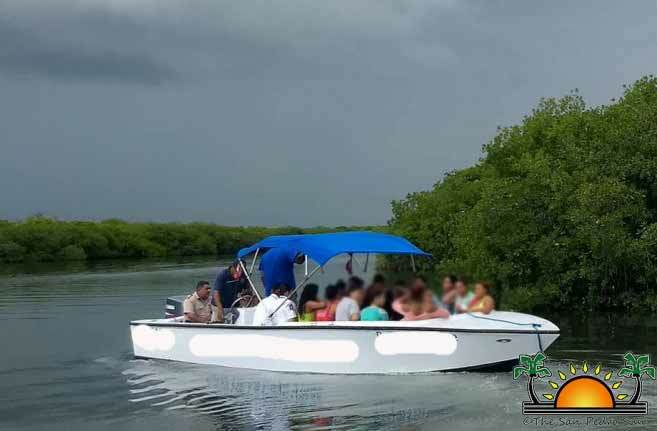 The Belize Immigration Department continues to investigate a November 2nd immigration bust conducted at several bars on Ambergris Caye. While the Department is trying to determine whether the detainees, all women, form part of a human trafficking ring based in Honduras, personnel from the San Pedro immigration branch, shed some light on immigration issues affecting the island. The San Pedro Town Immigration representative explained that usually, for the first six months, a non-Belizean can extend their stay in the country on a monthly basis. After six months, the person is not considered a tourist/visitor and he or she must leave, or have a genuine reason to continue in the country. “We do not grant an extension to anybody either if the Immigration officer believes that the person is not in the country for tourism purposes, an extension is denied, and the person must leave,” said the representative. “The other issue is that many of the women working in the bars do not get their extensions on the island. They would go to Belize City or somewhere else in the country to get their month’s extension.” He stated that once they bear a visitor’s permit on their passports, nothing can be done. The only way that someone can be removed is if that person becomes a threat to the members of the community.